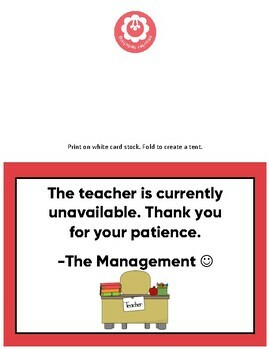 Do you have those moments - maybe you're assessing a student, and you CANNOT be interrupted? Print this poster on card stock and fold it like a tent. Place it near you - when you do not want to be disturbed. When students approach you... just point to the sign. This is super easy and it works.